Food security is said to exist in a country when its people have access to sufficient, safe and nutritious food to meet their dietary needs and lead an active and healthy life. In Malaysia, the lack of food security does not only affect the homeless and poor but also tertiary students staying on campus. Several universities, individuals and the private sector have come together to help those facing this situation. At Universiti Teknologi Mara’s (UiTM) Shah Alam campus, Muhammad Zulkifli Sulaiman, 22, kick-started a project called Suspended Meals early this year at the Communication and Media Studies Faculty. He started the project after learning that his peers, who were having financial difficulties, would skip meals. “Many of them rely on instant noodles, bread or rice with just plain gravy or an egg, commonly known as nasi bujang”, he said. Muhammad Zulkifli added that most of them come from families with many children and whose parents are retired, jobless or disabled. 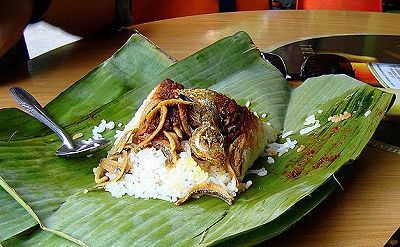 Under the Suspended Meals programme, about 50 UiTM underprivileged undergraduates are given nasi lemak (rice and gravy) once a week. Funds are raised by selling snacks and drinks, cash donations from lecturers and charity drives, to buy the food for the students. “I have come across undergraduates who are feeling weak and sleepy because of the lack of a nutritious diet. Some of them cannot afford to buy proper food as their parents are too poor to give them allowance or pocket money. Working part-time is not an option for many because of their tight class schedules,” said Muhammad Zulkifli, who is majoring in public relations. UiTM senior lecturer Hariyati Ariffin said the needy students were identified through lecturers and it included those who receive zakat contributions. “I have seen students who eat just rice and gravy to fill their stomachs. Some of them send any balance money from their student loans back home to ease their family’s burden,” said Hariyati. She added that some needy students were embarrassed to receive the food aid. “They will come to our faculty library to collect the food,” she said. 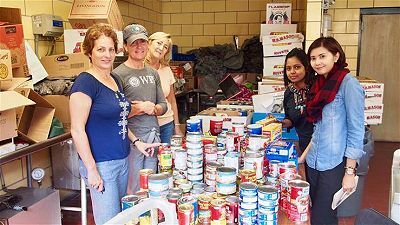 The idea of setting up a food pantry for undergraduates have been implemented by universities in several countries. George Mason University in Virginia, US, is among those that set up a Pop Up Pantry for needy students as well as employees of the university. This reporter learned about the initiative during the Young South-East Asia Leaders Initiative fellowship she attended in the US. She was then inspired to initiate a Campus Pop Up Pantry to collect non-perishable food items for needy tertiary students in the Klang Valley. Several local students said they could only afford to fork out an average of RM5 (about 15 Rand) or less a day on food. One undergraduate buys two packs of nasi lemak from a roadside stall for RM1.50 (about R 4,50) each. She eats one for breakfast, another for lunch and skips dinner. For the Campus Pop Up Pantry, Sunway Malls came on board to provide a space for the public to donate the food at several of its shopping complexes. The corner, dubbed “Food For Thought”, welcomed donations of biscuits, milk, cereal, instant noodles, instant cereal drinks and other nutritious beverages. The items are then later distributed to needy undergraduates. Sunway Malls chief operating officer Kevin Tan said it was a shame that students were going hungry when lot of food in the country goes to waste. “We hope the public will come forward to help in any small way they can. A pack of biscuits or a carton of milk would be much appreciated by these students,” said Tan, adding that the corners were set up at Sunway Pyramid, Sunway Giza, Sunway Velocity and Sunway Putra Mall. Students from Universiti Malaya (UM) and Cybernetics International College of Technology in Taman Maluri, Kuala Lumpur, have benefited from the project so far. UM Residential College Presidents 2016/2017 head Danesh Raj Nagarajan said hostel leaders were asked to identify needy students staying on campus. “We have a list of poor students based on their family income and background. So only the truly deserving will receive these donations,” said Danesh who called on the alumni to contribute too. 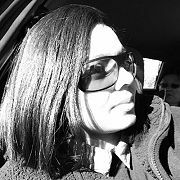 Sheila Sri Priya is a journalist at The Star Publications (Malaysia).